People who participate in Reddit AMAs can be extremely informational and inspirational. As a tech-savvy community, there are plenty of AMAs that are must-reads for aspiring developers. Here are the top 5 AMAs that you will want to get started on. 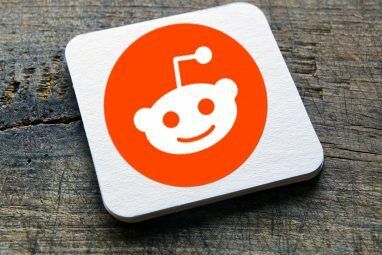 The acronym stands for “Ask Me Anything”, and there’s an entire section on Reddit (called a subreddit — subject-specific places where you can learn anything 5 Best Subreddits To Learn Cool Stuff 5 Best Subreddits To Learn Cool Stuff Reddit is more than just a time sink where you can look at pretty girls, read about nerdy stuff, and procrastinate as you build a memory of random trivia. Reddit can be used to learn... Read More ) dedicated to these AMAs. There are also a few AMAAs there as well, which stands for “Ask Me Almost Anything” — these are usually for people who aren’t able to answer every question that is asked. It’s a simple and open way for the community to ask questions to AMA participants. Reddit has invited many famous people to participate in AMAs, including President Obama, Bill Gates, the MythBusters, and others. 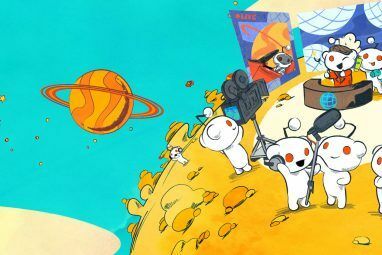 You can learn a lot of other great stuff from our Awesome Guide to Reddit! There’s nothing quite like landing a programming job when you don’t have a degree and everything has been self-taught. That is exactly what greymattr managed to do in a big scale — he got a job at a Fortune 500 company and made a six-figure salary. In his AMA, greymattr shares what he did to prepare himself, how he got his job, and what others can do to prepare themselves. While all of the AMAs that will be mentioned in this article are great reads for aspiring developers, this one is the most straightforward and informational one out of the bunch. The others are great motivational reads. What would you recommend to a high school student who programs but has not yet had any formal training? Making six-figures without a degree may be a great accomplishment, but working as a programmer for SpaceX is just plain cool. In this AMA, the entire SpaceX programming team came to Reddit to answer everyone’s questions. They gave readers an insight to how big their programming projects are, what challenges they face, and what they enjoy the most about their job. After reading the AMA, you also get a sense that programming rockets isn’t a job that requires you to be uptight — everyone enjoys tinkering with code and having fun. How big is your current code base for your biggest project? Is it a hassle to maintain? What was the most challenging project that you had to take on and why? What do you feel most accomplished about? The vehicle code is on the order of a couple hundred k lines. It’s not a hassle to maintain, it’s our job! We’re actually very happy with our code base. It’s a labor of love. Dragon berthing w/ the ISS was a major challenge. Lots of new code had to be developed. Dragon berthing w/ the ISS. Did we mention Dragon berthing w/ the ISS? Online flash games exploded around the time Facebook allowed games onto the social network — do I even need to mention FarmVille? The craze was so big that the most known developer of online flash games, Zynga, made billions. A former Zynga developer came to Reddit and held an AMA to give readers a behind the scenes look and provide some advice to aspiring game developers. While a lot of talk revolves around Flash, HTML5, and games written in both of those languages, it also touches on more traditional desktop gaming engines. Where do you see HTML5 going, in regards to replacing the traditional plugin model? Is HTML5 video a good idea? How is writing for the Canvas element (and the associated optimization pitfalls) different from writing complex programs in Flash? I had to work with Cocos2dx (with JS bindings on mobile) and Cocos2dHTML5 for a while after I left zynga. Overall, HTML5 replacing flash for basic stuff like video and interactive layout is (I feel) a good thing. OTOH, Creating interesting interactive UI in flash is way easier than any other system I know of, which is a large part of why it’s so popular. That hasn’t been solved by HTLM5 yet, and it will take a lot of work on the tools before they match up to Flash creation tools in Adobe CS. HTML5 also has a lot of really annoying parts when you have to accommodate older browsers, and sometimes it’s actually faster to use heavily abused DOM rendering rather than using Canvas rendering (which makes for headache inducing sessions of trying to optimize your shared code for DOM on some browsers and Canvas on others). Having webGL isn’t reliable yet, which means that a lot of things that are easy in flash are hard in html5. HTML5 also suffers a lot of the problems that flash has, like really horrible perf gotchas that non-senior devs won’t know to avoid. The browser makers are putting in a ton of effort to make HTML5 run fast, but even heavily optimized html5 code seems to have a lower overall performance than decently optimized flash code. If the AMA by the former Zynga developer didn’t focus enough on desktop gaming, how about this AMA conducted by the entire Guild Wars 2 team? You’ll read a lot more about the nitty-grittyof game development as well as several questions about the game itself. Those questions also highlight challenges that the team faces in developing the game and keeping everyone happy. Wouldn’t be amazing to program for one of the the Top 10 websites in the world? Last but certainly not least, we have an AMA by a Wikipedia developer. Brandon Harris explains how he started getting involved at Wikipedia and how that turned into a development job. He also offers various tips to aspiring developers on what to do to get started. Like we’ve mentioned on MakeUseOf plenty of times, he also suggests contributing to an open source project The Journey Of A Coder: How To Enhance Your Coding Skills By Contributing To An Open Source Project The Journey Of A Coder: How To Enhance Your Coding Skills By Contributing To An Open Source Project If you’re looking to market yourself as a competent programmer, there’s no better time to show off your skills in the best way possible — by contributing to open source projects. There are many reasons... Read More to get started with programming experience. I’d love to hear your best tip for a young student getting into web application development! Just start building things. Build small tools just for yourself, maybe. You have to build up a portfolio these days. One of the best ways is to start coding in an open source project. That way you have things on your resume and you have code samples to show people. While there are certainly more AMAs out there, these are the 5 most useful and motivational ones. After reading them, you’ll have more than enough willpower to get to work. Of course, don’t forget that we also have plenty of great material here at MakeUseOf for aspiring developers, including a way to choose the best programming language to learn How To Pick A Programming Language To Learn Today & Get A Great Job In 2 Years How To Pick A Programming Language To Learn Today & Get A Great Job In 2 Years It can take years of dedicated work to become a truly good programmer; so is there a way to choose the right language to start from today, in order to get hired tomorrow? Read More . What tips can you offer to aspiring developers? 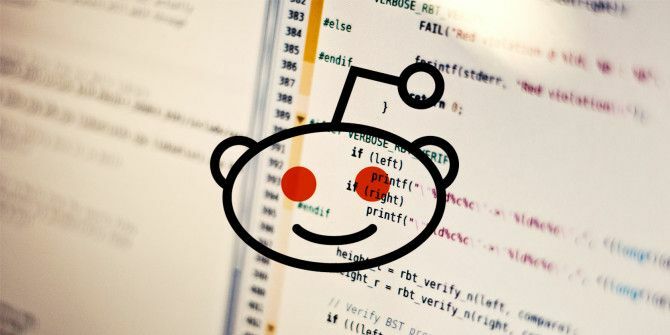 Have you come across other noteworthy Reddit AMAs for developers? Let us know in the comments!